First part of this series got tremendous response that I am writing the second part much sooner than I thought. Can’t keep you guys waiting! Ok. Assuming all the required materials for starting or sowing seeds are available, we shall see how to do the seed starting it self. Call it what you want, seed starting, seed sowing, germinating, sprouting.. the procedure is simple, very simple. You take some medium/substrate, make it moist, bury the seeds, cover it, wait for few days and boom the seeds have germinated. end of part II! ? Technically it is this simple, but we all love some detail. The devil is in the detail. Getting the seed starting mix ready is our first step. I will mention the easiest and the quickest way to do this. Take some cocopeat/peat moss which ever is available in your location. If the cocopeat is already a moist powder, you can use it directly. If it is a compressed block, please follow the instructions on the block and expand it. Now you have some moist media with you. It is time to start. Gently squeeze the media/substrate to drain out excess water. The media should not be soggy wet, little moisture is enough for the seeds to get started. Cocopeat/peat has no nutrients in them, so for the plants to grow once they germinate, they need some fertilizer. If you prefer organic ways, you can add in equal ration of compost to the peat. If you don’t mind adding some fertilizer, you can directly use the peat/cocopeat and once the plant germinates we can add some weak fertilizer. If you decided to use compost, add 1:1 with the peat and mix it thoroughly. If you are using chicken/horse/goat manure, then reduce it to 20% of the mix since they are very strong. I would make this mix in big quantities and keep them aside. As the mix ages, it gets better. You also need to keep it little moist to keep the microbe population alive. By now you should have a mix ready to use. Head to the section choosing a container for planting. For those using Jiffy plugs/ similar rooting plugs. The media is ready to use already. Depending on the type of media you bought, it might already have some fertilizer in them or just the substrate, read the instructions. Moisten the plugs with water to expand them if they are in their compressed form. You can gently squeeze them to drain off excess water and then line them up like shown in the picture. Now the jiffies are ready for sowing. There are so many choices we have for containers. If you are using a jiffy plug, you don’t need a container. move to the next section. For folks using prepared seed starting mix, you can choose from the following options. 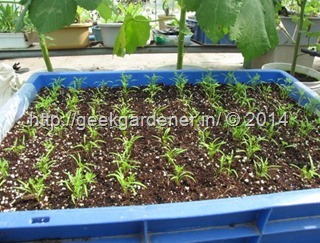 Propagation trays are needed if you are planning to sow in large numbers say 50+ plants. 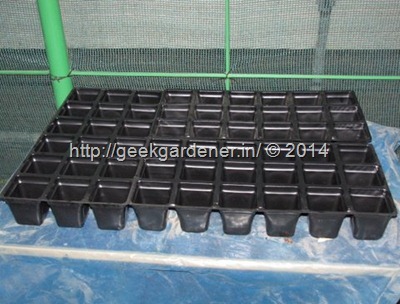 The trays come in different cavity sizes depending on the size of the seedlings. 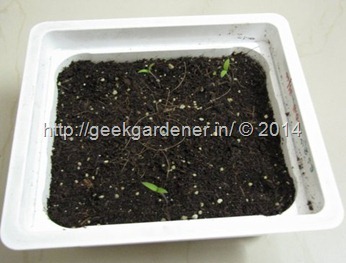 Tomato seedlings are small, zucchini seedlings are huge, so the cavity size differ. A small cavity size and big cavity size are shown in the pic below. 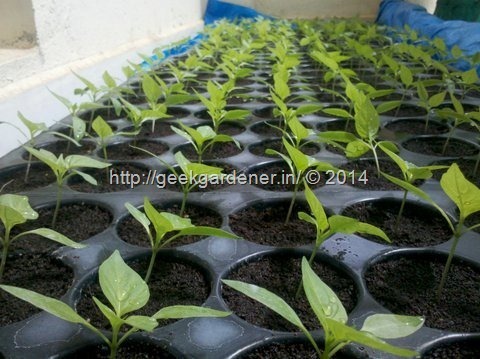 If you need small number of seedlings, then sowing them on a smaller pot and tray/flat makes sense. It is easier to handle and you need less resources. Food take out containers can be used for making seedlings and they do a pretty good job. Easy to find, cheap and it works. Just punch few drainage holes and you are good to go. There are some plants that are not comfortable with them being moved around. They prefer to stay in the same place where you sown them. Refer to the Sowing Chart page, under Ideal Germination Conditions. If the column reads “Direct” then the plant doesn’t like being transplanted or moved around. For such plants, it is better to sow them directly in their final container. For such cases, the sowing happens in their final pot. Here are some examples . We now have the seed starting mix and we now have the container as well. Lets dive right into the seed staring procedure. 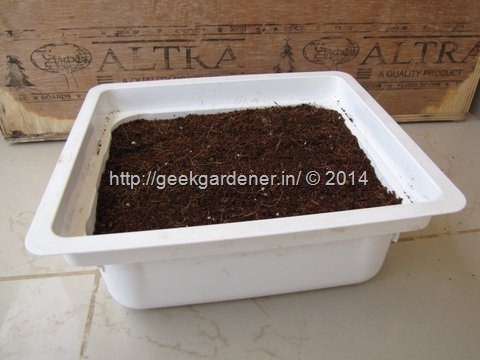 Fill the container with seed starting mix. Fill the mix right to the top of the container and then gently tap or press the mix so that it compacts. This step ensures there are no air pockets in the mix. Now start making small pits or depressions on the surface of the medium. Now two questions arise. .
How deep one should sow the seed ? I have prepared a chart just for this and it should serve you as a guide line for sowing depths. Refer to Sowing Chart. I will tell you easiest way to remember the sowing depth if you don’t have a reference chart handy. 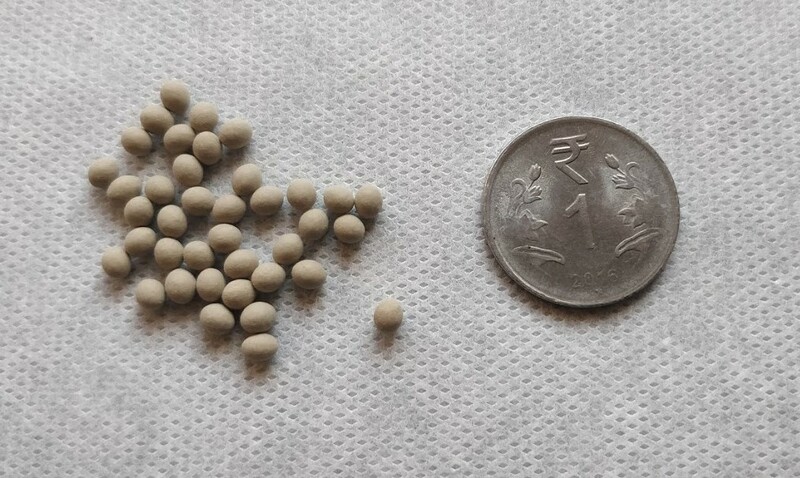 The sowing depth should be not more than twice the size of the seed. I can immedialy hear you saying “Which side of the seed?” Longest side.. if the seed is spherical, use the diameter. Convinced? How far apart the seeds be sown? The distance between plants is only applicable when you are direct sowing them. For that purpose, there is a table in the Sowing Chart page that explains you that. Now that you know how deep to sow and how far apart they must be sown.. what are you waiting for? Lets get started. Once the seeds are sown and it is watered. 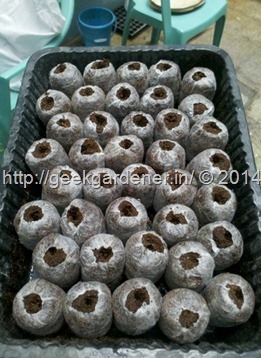 It is time for us to cover the seed starting tray / pot with a polythene sheet. 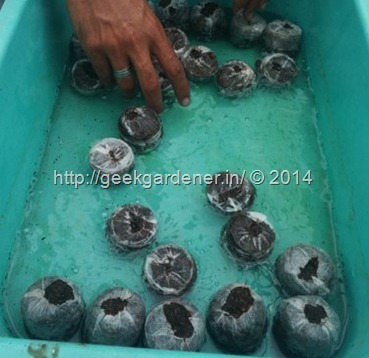 While this step is not mandatory, doing so reduces the time it takes for seeds to germinate. This is because of the humidity the polythene creates. It also ensures the moisture is locked in. 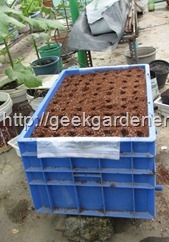 This is very good because we don’t have to water the tray till the plants germinate. That’s right. No watering is necessary until the plants germinate. 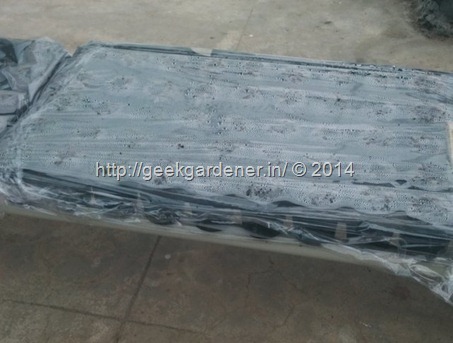 In the picture below, the seeds are sown in a tray and covered with poly sheet. The condensate on the sheet is also evident indicating a warm environment inside the sheet. Trust me, the seeds will love it.. they love it so much they surprise you by popping early. Once the seeds germinate, remove the polythene and expose seedlings to good sunlight. This step is very crucial. If you delay exposing them to sunlight, the chances are very high that they will become tall and lanky. Such seedlings don’t become healthy plants. They also tend to break so quickly. Water them daily and don’t let them get dry. A dry spell during the seedling stage can have a huge impact on the crop’s health. If you raised the seedlings in just cocopeat or any other inert substrate, this is the time to water them with a dilute nutrient solution. 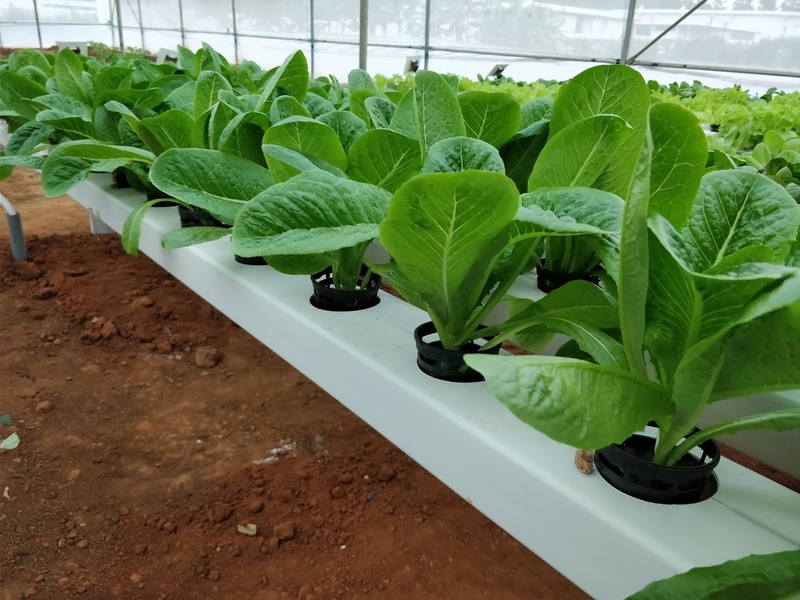 You can use a hydroponic solution or 19-19-19. 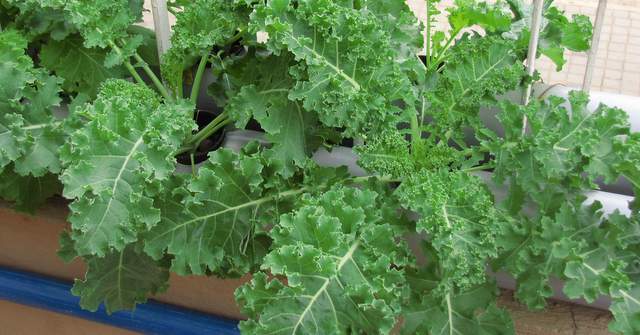 About a gram per liter is good enough for seedlings. If you do the above, the seedlings from your garden will be at par with the commercially grown ones. 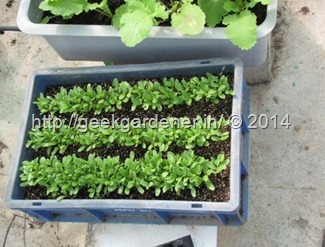 The picture below is an example of how great the seedlings will come up if you do things the right way! Go ahead, get set sow. Dear Sir, Excellent write up. Please do mention about using trichoderma viride or copper oxychloride solution to prevent damping off. Thanks Mani for a detailed write up on seeding procedures. Now I think I can do it. For sometimes I am following your blog and have read all the articles. Its inspiring. From this winter I am starting my garden. I have a small patch of land and I am preparing soil there. This two articles going to be great help to start my garden. It says I can do it! I have already sowed beans, coriander, chili. I have tried to get some cherry tomatoes here (I live in rural part of India), but no success. I love those plants of yours. Can you kindly send me some of your seeds? I read the sow seeds part1 and part2. very nice and it will be very useful for the beginners. Please do write more posts. 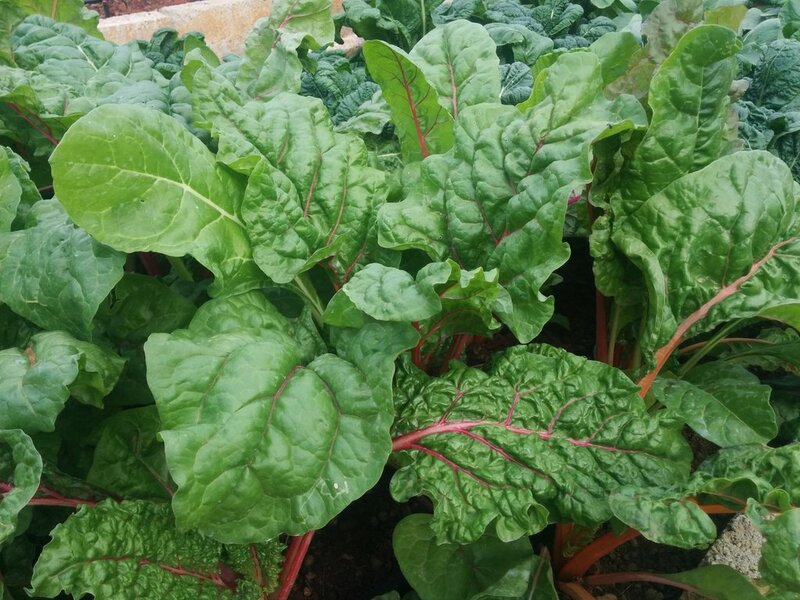 I love Gardening and this blog helps a lot. 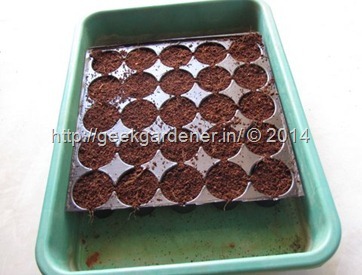 Please write a post on plant cutting propagation and Sowing chart for Flower plants. Thanks you very much for the posts. Really appreciate the seed mix and the many step by step photos, great information! Very useful article on seed sowing. 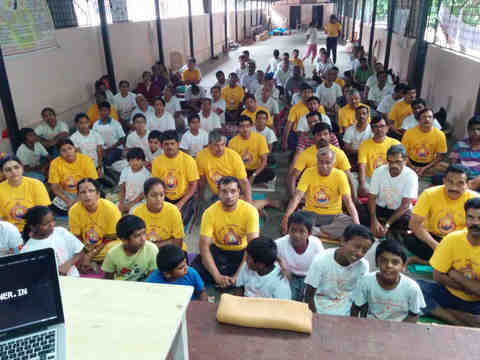 This is very important for the plant to come up and grow healthier and bear fruits. Thanks Geekgardener. Thanks for such a good write up. Very very useful for beginners. How the position of the seed must be while planting?. 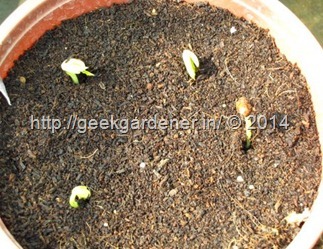 After how long the seedling has to be removed for potting, and what soil mix to be used for potting?. 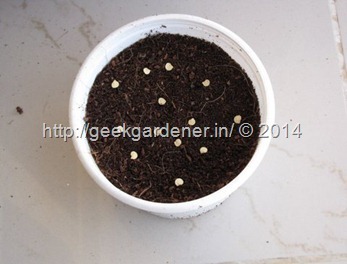 Where do we get perlite in Hyderabad?.